Spain has a Poor record of handling Revolutions. Spain has a chequered history in dealing with independence movements. Almost all of them have resulted in terrible suffering and ultimate defeat. Image courtesy of the British Library Flickr. Book Review: Spain by Robert Goodwin. In 1813 French troops were fleeing Spain, defeated by the Duke of Wellington’s Anglo-Hispanic army at Vitoria, their fate seemed sealed, that is until the British pursuers encountered the French baggage train. 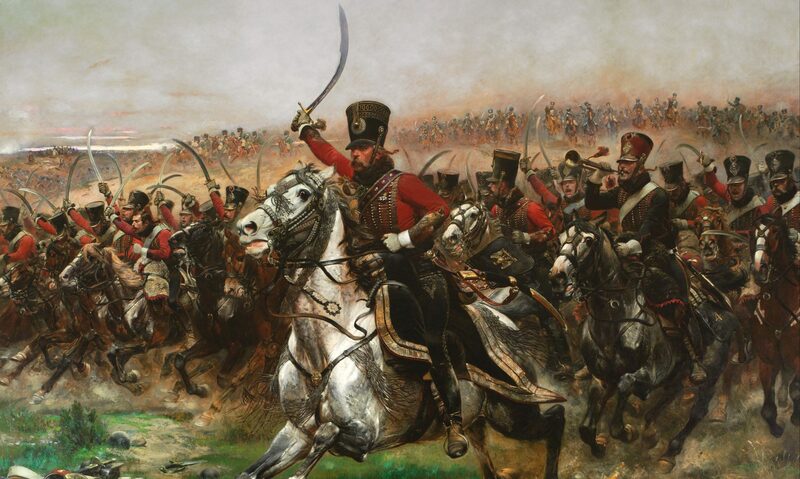 In the days afterwards the Duke of Wellington visited his wrath on regiments that had participated in the looting. Parades were organised and small fortunes of valuables were retrieved. It wasn’t all coins and diamonds though, in the aftermath of the battle Wellington found himself in possession of one of the most complete art collections in Europe, some of which were totally unknown at the time outside Spain. Masterpieces by Velasquez and Murillo had been observed by the occupying French Marshals and taken back to France and displayed in private houses and the Louvre until 1815. The French had stumbled onto the legacy of a greater Spain than the one they had conquered. One that because Spain was not officially on the Grand Tour, few people in Central Europe knew about, thousands of priceless works of art were carted over the Pyrenees, some were captured like those at Vitoria, but because of this the word got out there was more to Spain than met the eye. In the pantheon of empires Spain lies quite low down in people’s memory. Especially the British, who think everything begins and ends with their own imperial adventure. True, on those endless documentaries about the Spanish Armada people get told about Spain being the greatest empire in the world, but this is really only to more highlight the greatness of England, the midget that defeated the giant. Boiled down, most countries in Europe have some nugget of Spanish history, whether it is the armada, or the wars over the Spanish Netherlands, or the rule of the Spaniards in Italy there are few nations in Europe, North Africa, the Middle East, and America that have not encountered this forgotten empire, and when you tie those pieces together you find a monumental story that puts Spain at the centre of the world. 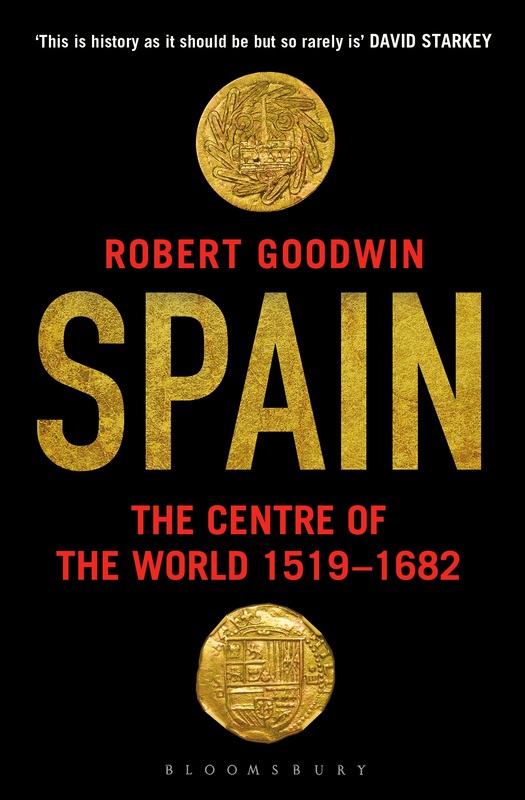 Robert Goodwin’s book tells that story, not from the outside, showing Spain’s might to heighten the glory of the given nation fighting her, nor only focusing on the conquest of the Americas, but from the inside, as a history of Spain for Spain. In the 16th century the world was increasingly beginning to globalise, and though Portugal was narrowly the First Nation to properly explore and conquer globally, it was Spain that became the first global state, eclipsing its smaller neighbour in its wealth, reach and stature. The concept of Spain becoming the centre of the world is indeed apt at this time, not just because to the insular thinking Spanish, (a common trait to all empires) all roads increasingly seemed to lead to Saville, and thence to Toledo and Madrid, but because in 1532 they literally conquered a place that was considered to be the centre of the world. Cuzco, the capitol of the Incas means navel in the native language, the place where the four Inca lands connected and it was from Peru where much of Spain’s future wealth derived. In ancient times all roads led to Rome, and to the British Greenwich was mathematically decided to be the place were time begins and ends, Until 1842 Qing emperors of China were convinced that the Mandate of Heaven meant they were the axis on which the world turned. 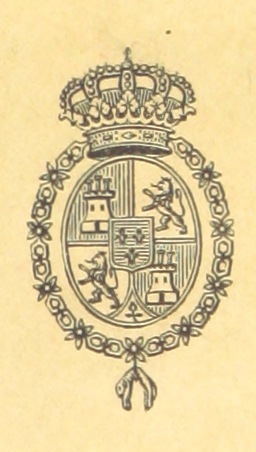 So too did the Spanish of the 16th and 17th centuries believe that the Hapsburg dynasty held the balance of the New and Old Wolds in the palm of their hands. From Kings to great General’s to priests, cunning bureaucrats and brilliant writers and artists this is the story of Spain’s golden age. The age that the French, who had done their part to bring the golden age down in the 17th century, rediscovered when they invaded in 1808. Spain tells this huge story through the the lives of two dozen Spaniards and their monarchs. Some will be familiar, some not so, but the end result is an impressive and very enjoyable tour, through a catalogue of Spanish history. Usually seen as a negative force, Goodwin does attempt a more positive view, looking from a renaissance Spanish mindset. The Spain he shows gives light and shade, and it’s true that because of the infamy of the inquisition and the conquista, it is hard to look past to positives. But that suggests that no other country in Europe practiced ill policy, subjugating other states and peoples, or persecuted heretics. This book is about an empire that for a time saw itself as the centre of the world. Opposed to the dour image of sinister Kings dressed in black, attended by sombre clerics presiding over the inquisition’s ghastly auto de fe’s amidst the splendour of majestic plazas, paid for by American gold. We see a culture and society alive and moving around this, often chaotic and troubled but striving always for greatness. Rich in art and literature which would by the 18th century begin influence the world outside Spain. True, it is therefore not as harsh on colonial matters as some more critical works, but then again there is no shortage of ethical debate when it comes to the good and bad points of any empire. Yet in the first chapter when he aptly described Cortes’ presentation of Mexican wealth as the biggest bribe ever offered to a European monarch, he describes the “Totomac” Indians that accompanied that embassy as “ambassadors”. Seemingly forgetting that the state to which they might have represented had they been given that status, had been destroyed, and that they were not there so much to report back about Spain, but to show Spain what it had conquered. What made the Spanish empire so great was in part good fortune that literally dropped the riches of Mexico and Peru into the lap of Charles V by a stream of cunning, opportunistic, adventurers. This stream of treasure essentially powered Spain through the 16th century and right up to the end of the 17th before it began to run out. Wasted on costly, dynastic European wars and also on art, for arts sake. This latter half of the book is essentially the world of Perez Reverte’s Alatriste. A character that Reverte invented because so little was being taught in Spanish schools about the golden age. An age of glorious decay, as opposed to the sudden and continuous rise afforded by the Conquistadors. This is a book I have hoped to see appear for a long time, a clever, well written, accessible and enlightening tour of the Span’s “century of Gold”. A time of contrasts, between an emerging nation, rich, grasping, noble, cruel and unapologetically fervent, catapulted to a global stage, of greed and excess, of war and art. A world shaping story well worth reading.